...patents convey substantial economic benefits on startups by facilitating contracting between them and their investors. With patent reform on the Congressional agenda, new research showing the value of patents for startup companies could be critical evidence for shaping any new legislation. 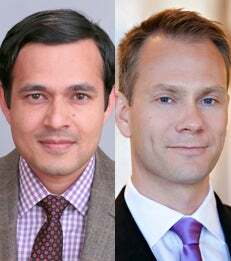 By analyzing previously untapped data from the patent office, NYU Stern Professors Deepak Hegde and Alexander Ljungqvist show empirically that patents are an immediate and lasting boon to startups’ growth and success. In doing research for “The Bright Side of Patents,” co-authored with Joan Farre-Mensa of Harvard Business School, Professors Hegde and Ljungqvist had access to records of patent applications, successful and unsuccessful, that were handled by the US Patent and Trade Office between 2001 and 2014. They sought to explore whether the patent process and the existence of patents themselves created incentives for or discouraged startups’ growth, subsequent innovation and economic success. By following the applicants, the authors found that patents, especially if granted in a timely manner, boosted a startup’s chances of attracting investment and continuing to thrive. For instance, the study found that approval of a startup’s first patent application increased its employment growth over the next five years by an average of 36 percent and its sales growth by 51 percent. The effect was strongest for startups that had raised little or no venture capital before the patent was granted; were founded by inexperienced entrepreneurs; were located in areas where attracting investors’ attention was relatively harder; and operated in the tech sector. Delays in patent approval substantially hurt startups’ growth and success.